Yes, I would like to know more about this real estate investment opportunity! Artisan Urbanism is the principle upon which this development was created. For years a few individuals have lived off-the-grid in remote locations, but now it is a mainstream reality. The ability of individuals to independently generate electricity from the sun and produce a sustainable amount of food from a garden is finally here. Inspired by the increasing demand for energy independence, food security and community stability, this development is designed to combine new technologies, traditional gardening and classical design into a cohesive community of independent homes. This unique farm to table community represents a blend of resilient living and self-sustainability in a diverse and progressive community atmosphere. It’s a place where residents can be “independent together”. Residents enjoy first-class infrastructure and amenities in a growing artistic and down-to-earth village. Each home is equipped with state-of-the-art solar technology that supports air conditioning, fans, washers, dryers, and refrigerators. All homes have high-speed internet, perfect for working remotely. The development is surrounded by tropical rainforests, the majestic Maya Mountains and the Belize River Valley. 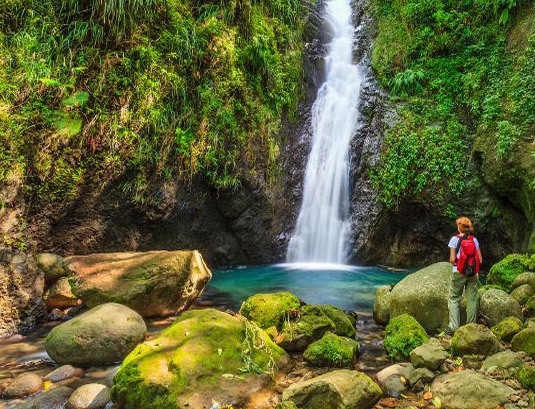 Simply a nature-lover´s paradise, an undeveloped and still relatively undiscovered frontier of wide-open spaces crisscrossed by rivers for swimming and kayaking, rain forest for exploring and hiking, and Mayan ruins for climbing. Residents will also have access to communal gardens and orchards that they can work as much or as little as they like. 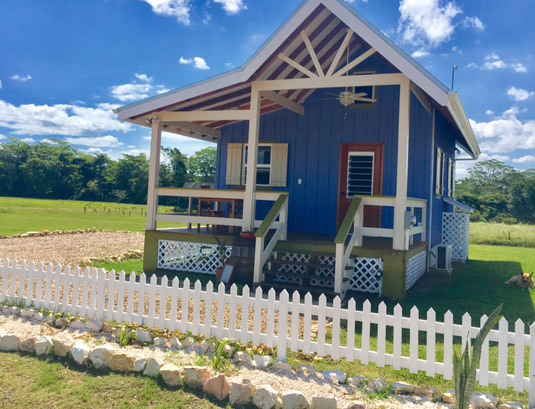 Here, you get to enjoy the country life all while enjoying quick, easy access to grocery stores, restaurants, bars, hardware stores, and any other types of services as you are only 10 minutes away from San Ignacio, which is the biggest town in Cayo. Lots range in size from 1/8 to ½ acre and prices start at US$35,000 and go up to US$75,000. The developer also offers financing for lot purchases. Turnkey investment options and full-time, onsite Property Management are available, as well.